is member of the scientific board of SBA Research, Full Professor at the University of Fribourg, Switzerland, and Director of the international institute of management in technology (iimt). Her research focuses on cyber security management, innovation and technology management, smart living and energy management. Stephanie Teufel studied Informatics at the Technical University of Berlin and the Swiss Federal Institute of Technology Zurich (ETH). Subsequent to her studies, she joined the Department of Informatics at the University of Zurich as a researcher. She received her Doctor’s degree in 1991. In 1992, she took a university teaching position at the Faculty of Economics of the University of Zürich, where she received her postdoctoral qualification (Habilitation) in 1998. She was a lecturer at the University of Wollongong, Australia, and a university professor for Information Systems at the Carl von Ossietzky Universität Oldenburg, Germany. Since April 2000, she holds a full professorship in ICT-Management at the Faculty of Economics and Social Sciences, University of Fribourg, Switzerland. Furthermore, she is director of the international institute of management in technology (iimt). 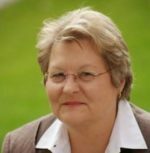 Prof. Dr. Teufel identifies herself through numerous international publications in the fields of Information and Cyber Security Management, Innovation and Technology Management, Mobile Business as well as Smart Living and Energy Management. She is author/co-author of a multitude of scientific publications and textbooks and editor of different scientific series; inter alia Executive MBA and Executive Diploma Papers of iimt University Press. Prof. Teufel is a sought-after professional for diverse boards and panels of experts. Among them, there are the Swiss Federal Communications Commission (ComCom), Swiss Innovation Forum, ITU Telecom World, EU support programs. In addition, she is member of different supervisory boards in industry and scientific organizations.